A taiyang disease is a pathological syndromes caused by exogenous pathogenic factors invading the body surface; it is also known as an exterior syndrome. Taiyang disease can be classified into syndromes of the Taiyang channel and syndromes of the Taiyang fu organ (urinary bladder). Aversion to cold, fever, pain and rigidity of the neck, thin white tongue coating, floating pulse. Exogenous pathogenic factors attack the body surface injuring the defensive yang qi causing an aversion to cold. Fever is due to the obstruction of yang qi. Since the qi of the Taiyang channel is also affected, this results in headache, and neck pain and rigidity. A floating pulse indicates that pathological changes are exterior. These are common manifestations of Taiyang exterior syndromes. On this basis, if they are accompanied by sweating, aversion to wind, floating and superficial pulse, they are known as wind stroke syndromes of Taiyang or exterior xu syndromes caused when the defensive qi is invaded by exogenous pathogenic wind. This leads to a disharmony between defensive and nutrient qi. If aversion to cold is not accompanied by sweating and a floating tense pulse, this is understood as Taiyang febrile syndrome caused by cold or exterior shi syndromes. In this case, exogenous pathogenic cold has obstructed the body surface and blocked the yang qi flow. In addition, since the lung dominates the skin and hair, if exogenous pathogenic factors attack the body surface, lung qi will lead to dysfunction causing nasal obstruction, cough, asthma, etc. The Taiyang fu organ syndromes are mainly due to a progression of Taiyang channel syndromes which are not cured when they are on the exterior, and then are transmitted along the channel into the urinary bladder. Taiyang fu syndromes are classified into water retention and blood retention syndromes. Water retention syndromes: Fever, perspiration, irritability, thirst with or without preference for drinks, vomiting after drinking, and dysuria. These syndromes are due to exogenous pathogenic factors being transmitted from the exterior to the interior, giving rise to qi activity dysfunctions in the urinary bladder. This further affects the body fluid flow leading to fluid retention and its sequence of irritability, thirst with preference for drinks, vomiting after drinking, and dysuria. Blood retention syndromes: Pain and lump in the lower lateral abdomen, mania, normal urination. Pain and lump in the lower lateral abdomen resulting from pathological heat transmitted along the Taiyang channel and mixing with blood in the lower jiao. Mental mania is caused by an upward disturbance due to blood retention and pathogenic heat. Since the disease location is in the blood of the lower jiao, the urinary bladder is not affected, thus there is normal urination. Yangming diseases are usually caused by exogenous pathogenic wind and cold which convert to heat and transmit directly into the interior, attacking the Yangming. They may also be due to delayed treatment causing body fluid consumption, which dries the stomach and intestines, resulting in constipation. yangming diseases exhibit the greatest conflict between pathogenic and anti-pathogenic factors. They are also divided into syndromes of the Yangming channel and Yangming fu organ. Fever, perspiration, thirst with preference for drinking, irritability, yellow dry tongue coating, forceful pulse. Pathogenic heat retained in the Yangming channel causes hyperactivity of heat in the stomach, manifesting as fever. pathogenic heat forces the body fluid to flow outward, thus sweating occurs. This perspiration consumes fluids, so there is thirst with a preference for drinking. Irritability is due to heat disturbing the hear-mind. A dry yellow tongue coating is a sign of excessive heat injuring the body fluid. A forceful pulse indicates excessive heat and preponderant yang. Fever, tidal fever at dusk, sweating, constipation, fullness and pain of the abdomen (worse with pressure), irritability, delirium or even coma, yellow and dry tongue coating, or yellow coating with thorns, deep, forceful shi pulse. Constipation is due to dryness of the intestine. The dysfunction of qi circulation in the fu organ causes a fullness and distending pain in the abdomen which is worse with pressure. Steaming of interior heat is the cause of fever and sweating. The Yangming qi, peaking at dusk, causes tidal fever when it contends with pathogenic factors. Irritability and delirium or even coma are caused by heat disturbing the hear-mind. Deep and shi pulse, and yellow and dry tongue coating with thorns are signs of interior shi heat leading to the insufficiency of body fluid. Shaoyang diseases are usually due to unrelieved Taiyang exterior syndromes that have been transmitted into the interior. There may be cases which have Taiyang diseases at the onset, so pathological changes are neither on the Taiyang exterior nor in the Yangming interior, but stay in between. They are known as semi-exterior/interior syndromes. 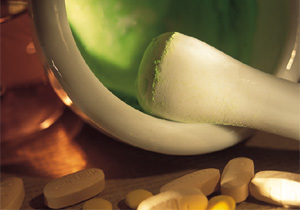 Main clinical manifestations: Bitter taste in the mouth, dryness of the throat, vertigo, alternate chills and fever, fullness of the chest and epigastric regions, poor appetite, irritability, vomiting, white slippery tongue coating, wiry pulse. Pathogenic factors invade the Shaoyang and contend with anti-pathogenic qi in the region between the surface and the interior, so there are alternating chills and fever. The foot Shaoyang channel is distributed along the lateral side of the chest and hypochondriac region. Fullness of the chest and epigastric regions results from the obstruction of qi circulation after pathogenic factors invade the Shaoyang channel. Qi stagnation of the gall bladder may also affect the stomach, so poor appetite, irritability and vomiting occur. Fire of the gall bladder flares up to cause a bitter taste, dry throat, and vertigo. Wiry pulse and white slippery tongue coating are due to pathogenic heat hindering the Shaoyang. Taiyin diseases are mostly due to pathogenic cold directly attacking the middle jiao of a constitutionally weak patient, or due to delayed treatment of diseases of the three yang channels thus damaging the yang of the middle jiao. Main clinical manifestations: Abdominal distension, vomiting, anorexia, diarrhea with pain preferring warmth and pressure, thirst, pale tongue proper with white coating, slow or delayed pulse. The nature of Taiyin diseases is xu cold of the middle jiao, and interior retention of cold damp. The spleen is responsible for the elevation of clean qi, while the stomach is responsible for the descent of turbid qi. The spleen also dominates the function of transportation and transformation of food, and the stomach controls the function of receiving food. Thus when the middle jiao is weak and attacked by pathogenic cold, the functions of transportation, transformation, and food reception become abnormal causing interior retention of cold damp manifesting the above symptoms. Shaoyin diseases may be due to direct attack of the Shaoyin by exogenous pathogenic factors when the body has yang deficiency and cold; or due to the transmission of pathogenic factors from other channels into the Shaoyin; or due to treatment employing a strong diaphoretic action that injures the yang. After invasion of the Shaoyin by pathogenic factors causing yin symptoms, a change into cold may occur. If yang symptoms occur they may transform into heat. Therefore Shaoyin diseases can be divided into Shaoyin syndromes of cold transformation and Shaoyin syndromes of heat transformation. Aversion to cold, sleeping with the knees drawn up, listlessness, cold extremities, loose stool with undigested food, vomiting, absence of thirst, preference for hot drinks, profuse and clear urine, pale tongue with white coating, deep and feeble pulse. Shaoyin syndromes of cold transformation are the manifestations of heart and kidney yang deficiencies and interior retention of yin cold. Insufficient yang qi fails to warm and nourish the extremities resulting in cold extremities and sleep with the knees drawn up. Listlessness is due to the inability of yang qi to nourish the mind. Kidney yang deficiency is unable to warm the middle jiao leading to a dysfunction of the ascending and descending functions of middle jiao qi, resulting in loose stool with undigested food and vomiting. Yang deficiency unsuccessfully controls water, so there is profuse and clear urine. Absence of thirst, preference for hot drinks, pale tongue proper with white coating, and deep feeble pulse are all signs of yang deficiency and yin preponderance. Irritability, insomnia, dryness of mouth and throat, red tongue tip or deep red tongue proper with scanty tongue coating, deep, thready, and rapid pulse. The patient usually has a yin deficiency. After pathogenic factors invade the Shaoyin, they are liable to transform into heat affecting kidney yin. A lessening of kidney yin (body fluid) prevents its upward flow to the heart, and leads to hyperactivity of the heart fire. Symptoms of irritability, insomnia, dryness of the mouth and throat, deep red tongue, deep thready, and rapid pulse occur. Jueyin diseases indicate the last stage of disease transformation of the six channels. This disease condition is complex with syndromes of extreme heat or extreme cold, or syndromes of alternate cold and heat. Cold extremities, absence of fever, aversion to cold, pale tongue, and an extremely thready, feeble pulse that can hardly be felt. Syndromes of extreme cold result from yang xu (deficiency) and excessive yin. So syndromes of extreme cold are also known as "coldness due to extreme yin." Coldness of extremities, irritability, feverish sensation, thirst, yellowish urine, yellowish tongue coating and slippery pulse. Irritability, feverish sensation, thirst, yellowish urine, yellowish tongue coating and slippery pulse are signs of interior accumulation of heat. This interior accumulation causes a failure of the yang qi to warm and nourish the body surface. The resulting cold extremities are considered "coldness due to extreme yang," or "coldness due to extreme heat." Cold limbs, xiao ke (general term for diseases with symptoms of frequent drinking, of water, urination and bowel movements), a feeling of qi striking upward, pain and feverish sensation of the heart, hunger without appetite, vomiting ascariasis after eating food and serious diarrhea. This condition is caused by parasitosis accompanied with mixed heat and cold. The symptoms of xiao ke, a feeling of qi striking upward, and pain and feverish sensation of the heart are heat syndromes. Hunger without appetite, vomiting ascariasis after eating, and serious diarrhea are cold syndromes. The mixture of heat and cold and the disharmony of yin and yang causes coldness of the limbs. Ascariasis disturbs the upper part of the body, manifesting irritability, and vomiting ascarids after eating.